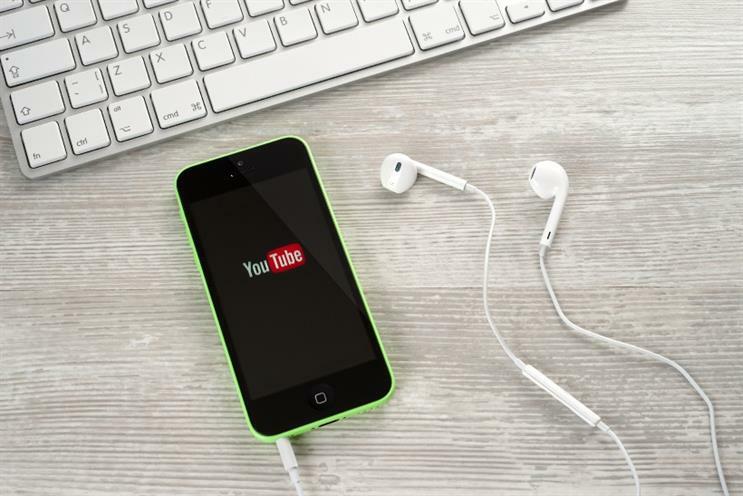 This month YouTube celebrates its 10th anniversary and Saul Parker, insight and strategy director at Livity, in honour of this milestone, has looked at some of the ways that YouTube has changed the world. At first you might consider it a pretty bold premise that YouTube has changed the world, but it is hard to underestimate the impact that the free video streaming platform has had on popular culture. Many of the changes I am going to talk about here aren’t solely the product of YouTube; cultural trends develop organically and in a distributed way, and can rarely be attributed to a single originator, but there are always protagonists and critical sites and moments of change. YouTube acts as a platform for expression, a home for multiple audiences, a marketplace for media products, a place for debate, a navigable library of information and a source of inspiration, all at once. It reflects, highlights and amplifies popular culture and media, and as a result it has played a critical role in how our shared culture has evolved over the past decade. So herewith, ten ways that YouTube has changed the world, one for each of its ten glorious years. Happy birthday YouTube. Legendary futurists Alvin and Heidi Toffler predicted the rise of the producer consumer in their 1980 book The Third Wave, although the idea was first mooted by Marshall McLuhan and Barrington Nevitt in the 70s. The Tofflers imagined prosumers more from the perspective of mass consumption and industry but, from a media perspective, prosumption has been most significant in terms of creativity and self-expression. The barriers to entry for the production and distribution of media content are now so low that almost anybody can take part, and platforms like YouTube mean that all the world’s a stage. Young people are so comfortable with making and sharing their own content that boundaries between maker, user, owner and customer become increasingly blurred. Until fairly recently, online streaming meant sacrificing quality for convenience. Music and video content streamed online is easy to access and plentiful, but the quality is often poor compared to physical media like DVD or CD. YouTube has a much stronger HD offer these days, and is playing with UltraHD, but so much user generated content is low fidelity to start with that often HD just isn’t relevant. The important change here is that fidelity isn’t a number one priority, and with UGC we see factors like immediacy and intimacy become more important. When MTV launched in the early 80s, it heralded the rise of the music video. The 80s saw music videos become ever more elaborate and more important a part of music marketing, but 20 years later, MTV was screening hardly any music content at all. Today MTV doesn’t even pretend to be ‘Music Television’. Nine of the ten biggest YouTube videos of all time are music videos for global artists like Justin Bieber, Katy Perry and Psy, who appeal to the global youth demographic that were MTV’s heartland. YouTube is the new MTV. The question now is how to make it effectively pay (see The Expectation of Free). in owning it any more? To date YouTube remains almost entirely free to view, offering billions of hours of video content, vast archives of music, film and TV footage, for nothing. A Spotify-style paid subscription offer is coming, but the ad-funded model will remain. The impact of abundant and shareable content on the rest of the media industry has been enormous. The corporate music industry is having to rethink its entire business model, and traditional news media has changed irreversibly. We are moving towards a two-tier system, whereby free views are ad-funded, and subscriptions are ad-free and higher quality, but the premise that everything is available for free somewhere will remain. The question of whether attention spans are becoming shorter is hotly debated (and you should read Faris Yakob’s brilliant book Paid Attention for a proper immersion on the topic), but lots of scientists and thinkers say they are. Although YouTube hosts videos of all shapes and sizes, the average video length is between three and four minutes, which is the same length as the average pop song has been for the past 100 years. But lots of YouTube clips are much shorter than this, and the proliferation of digital video more recently across Facebook, Vine and Instagram has seen seen short-form content spiral. have recently collided in a series of collaborations and partnerships. I am excited to see what happens as the YouTubers begin to move further towards the mainstream. One trait that typifies the work of YouTubers is an intimate relationship with their audience. They shoot content in their bedrooms, discuss personal issues and the ups and downs of their lives, introduce us to their mums, and show us inside their handbags. Part of what’s interesting here is a fascination with the minutiae of life, and part is about a sense of honesty and authenticity that aims to share ‘the real me’. Beyond YouTubers, a great deal of YouTube content embraces public displays of affection and raw emotional outburst that chime with audiences the world over. Mobile phone video capture and easy video upload have helped to make eye-witness reporting so ubiquitous that it is an increasingly common part of the news we consume. 24 hour rolling news services have an insatiable appetite for new content and perspectives, and citizen content allows us access and perspectives that journalists often can’t provide. Millions of us watched the Arab Spring unfold on YouTube, and the Occupy movement gained traction and global scale precisely because activists could publicise events despite a virtual blackout in traditional media. Perhaps the revolution won’t be televised, but we will definitely watch it live. In the end, almost everything that happens online eventually boils down to cats and babies. YouTube is full of videos of cats and babies doing funny things, and this trend shows no signs of disappearing any time soon. Anthropomorphising animals is a timeless human behaviour, and YouTube’s passion for cats is partly a consequence of this, and partly about our delight in the naivete and playfulness of babies and animals, which sits at stark contrast to the increasingly managed and tailored feel of much professional YouTube content. Hundreds of millions of us want to see the latest Katy Perry promo, but nearly as many of us want to watch ‘Charlie bit my finger, again’. These ten cultural trends have risen in prominence with the rise of YouTube, in the landscape of broader media and technological innovation. Of course for every trend there is a counter trend; whilst music content becomes increasingly immaterial and declines in relative value, the vinyl market is growing year on year, and hit an 18 year high last year. As with any kind of cultural analysis and commentary, take everything I say as one perspective on a complex and nebulous set of phenomena, and get in touch to continue the debate.